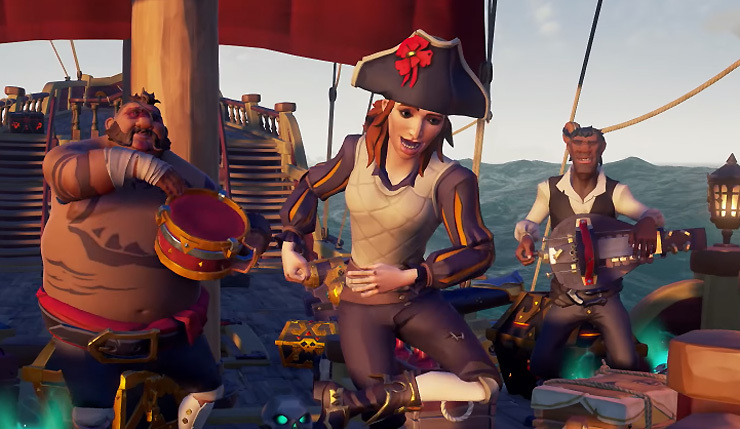 During the most recent episode of Inside Xbox, Sea of Thieves executive producer Joe Neate popped up to provide an update on how Rare’s open-world pirate MMO is doing. The answer – pretty darn well! According to Joe, the game has more than doubled its playerbase since the release of the Shrouded Spoils update in late November, and now Rare is pulling a ballsy move to get even more people involved. Sea of Thieves will be holding a Friends Play Free week starting tomorrow. Yup, anybody’s who’s purchased Sea of Thieves, or played it through Xbox Game Pass, can invite up to three friends to play unrestricted for a week. You can check out an explanation on how it all works, below. Starting at 6am PT/2pm GMT on February 6 through February 13, everyone who owns Sea of Thieves or who has played it through a current Xbox Game Pass subscription will be able to invite up to three friends to try the game for free. If you’d like to share the gift of adventure, simply visit this site, grab your free codes and send them to your friends. It’s that quick and easy. We’re starting to see more multiplayer games take this approach, and I’m definitely all for it. Oh, if the people you invite to play Sea of Thieves enjoy the experience, they can get a 35 percent discount on the game until February 26. In other Sea of Thieves news, Neate also once again explained the crossplay opt-out system coming in the game’s next update, which drops tomorrow. Players will be able to choose to play with people from only one platform, but they’re mainly providing the option for the upcoming Arena PvP mode – they will try to discourage players from opting out in Adventure mode. Neate also promised the reveal of a new “mega update” on Sea of Thieves’ first birthday on March 20, so look forward to that.